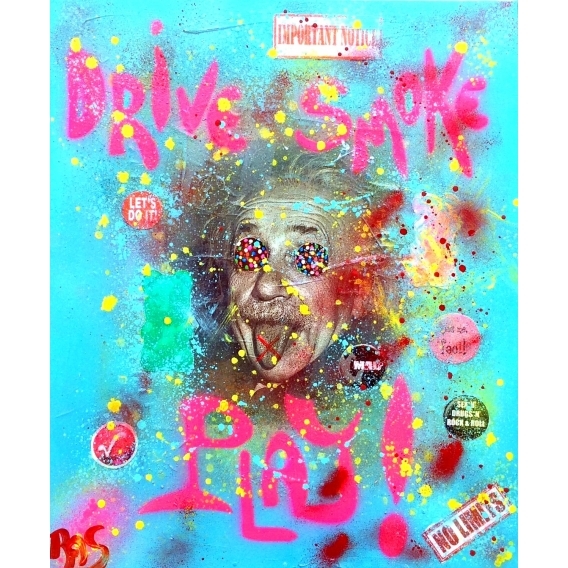 Albert Einstein on a pop art oil painting as you have never seen him before ! A unique brush-stroke for this abstract oil painting ! The dimensions of this design oil painting are 60 X 73 cm. All our artists’ canvases are delivered with care and you can pay in three instalments, interest free. Famous scientist Albert Einstein on a modern oil painting ! 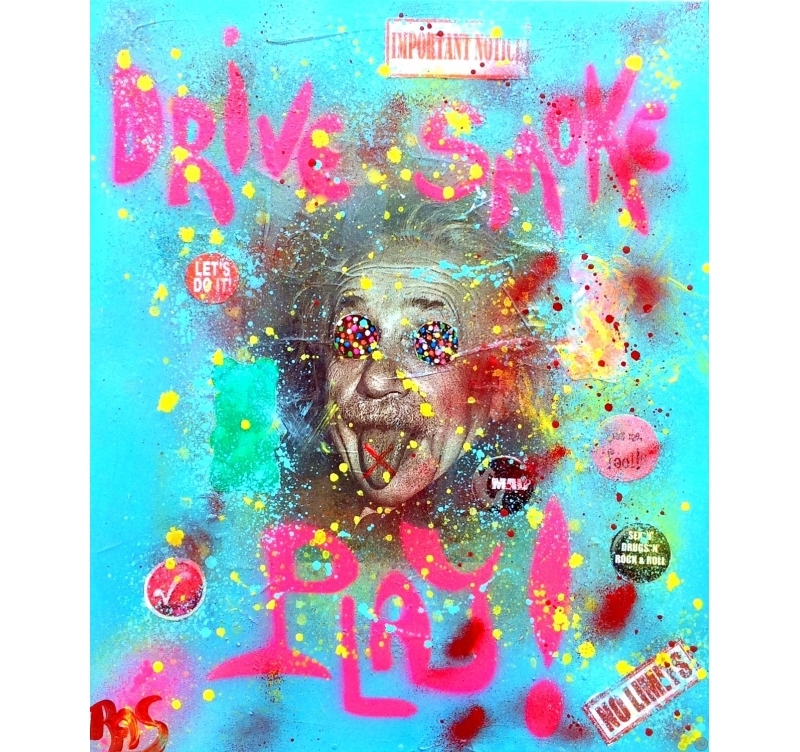 An explosion of colours to lighten up your home decoration with this pop-art painting by our artist Rose-Agathe Steiner ! A unique style for this trendy painting on linen frame created via a mixed technique : acrylic paint, aerosol and Indian ink. This original oil painting canvas shows you a unique world with street art inspirations. This wall decoration is covered with an epoxy-like coat spread on about 85%. The delivery is secured for this hand-painted canvas certified by the artist herself since this design oil canvas has been created in one copy only.